Grants are gift aid awarded to students. Funds are awarded based on a student's calculated need as determined by financial aid staff and grant guidelines. The following link outlines the institutional scholarships available at TSJC. All institutional scholarships require a complete application be submitted. You are required to maintain 15 credit hours to be eligible for institutional scholarships. 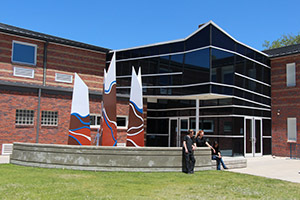 Trinidad State Junior College offers many scholarships annually to students who attend Trinidad State Junior College on a full-time basis. The scholarships provide monetary recognition on a year-by-year basis to first time and continuing students who demonstrate academic expertise in a particular field of study or skill. 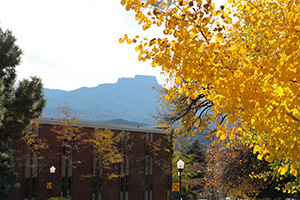 Many Trinidad State Junior College Scholarships are funded by the state of Colorado. Therefore, many scholarships are available to Colorado residents only. In addition, the Trinidad State Junior College Educational Foundation offers a number of endowed scholarships to TSJC students. A scholarship may be renewed provided the recipient continues to meet the eligibility requirements of the scholarship. Eligibility for scholarships is determined each college year. Therefore, a renewal application is required and due the first Friday of March. A limited number of athletics scholarships are available for students with exceptional athletic ability. Athletic Scholarships are awarded and coordinated through the office of the Athletic Director. A Private/Alternative Loan is a loan that a student can borrow to help finance the family's expected contribution. These loans are based on one's credit history (A student who has not established credit can apply with a co-borrower and can borrow up to the cost of attendance minus any aid received). A wide variety of private loan providers are available. We strongly recommend that you carefully review all the terms of each individual loan, as they can vary greatly. Individual loan providers have their own applications and timelines. Plan to apply at least 30 days prior to the date the bill is due. Through work-study awards, students can earn money to help meet expenses that are not billed by the institution, such as books and personal expenses. There are usually plenty of employment opportunities available, so students have ample opportunity to earn their full awards.